The Tobermory Distillery, has officially announced the launch of a new 12 Year Old signature expression. 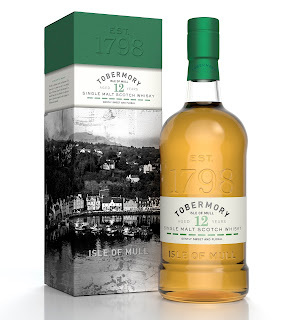 Tobermory 12 Year Old (46.3% ABV) which has been matured in American oak casks for 12 years, is non-chill filtered and bottled at natural colour. This latest release from the Isle of Mull based distillery, which was originally announced in February, as part of the distillery’s relaunch, is said to deliver notes of orange, citrus, vanilla, oak and spice on the nose. Followed by notes of sweet orange, creamy caramel, rich vanilla, cinnamon and clove on the palate. Tobermory 12 Year Old, will be available next month from specialist retailers, for a RRP of £46.00.